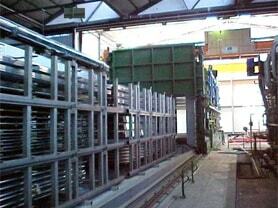 Ageing Oven - CEBA S.r.l. 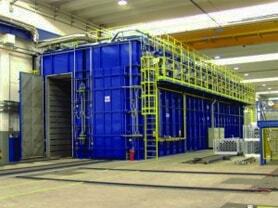 The ovens manufactured can be equipped also with the innovative system to recover the waste exhausting fumes/gases. The thermal cycle of artificial ageing allows to produce the desired metallurgical properties – as hardness. A PLC controls the operating cycle and verifies, by means also of the thermocouples installed, to keep the temperature in the required range. Each furnace is manufactured according to the requests of the process, meaning mobile furnaces, continuous furnaces side flow, longitudinal flow.